And, How Do We Do It…? Last Sunday, January 13th, we held our third seminar on Letters from 500 – Portal. Our goal was to access a portal within the space of seated attendees and, through guided meditations, transport ourselves through this sacred geometric form into a space provided by those future souls, our future selves. It was no coincidence that our group totaled 13, gathered on the 13th, in the year 2013. It was providence of course, and our intentions from the soul’s level through Conscious Evolution. We made our seating arrangement in the shape of Vesica Piscis (), that area of intersection of two circles. This form immediately gave power to the energy ring dancing through the group and before we even began the day’s events the electricity of delight sprang from the hearts of those present. After a chakra alignment provided by Jonathan Goldman’s brilliant audio creation Chakra Tuner we were guided by Robert in a breathing exercise in which we joined hands, thumbs pointing to the left, and moved our energy to our neighbor seated to our left. The rest of the seminar consisted of various meditations directing our consciousness in and through the portal which we created in the center of the group. After each meditation we gave our impressions and sensations of the journey we had just experienced. I can tell you this group participation was without doubt the most profound experience I’ve had in the realm of psychic travel and exploration. In fact as I write these words my consciousness is being transported back to that ecstatic state I had a week ago. It leaves you with a feeling of undivided oneness with all things in all spaces. The universe becomes a formless world where we are neither big or small or anything at all, save consciousness. Physically, the body starts to tingle with an energetic pulse. This pulse rises to the outer layer of skin and creates a buzz which vibrates so strong that there is no matter of thought that can penetrate through. What is this experience where the divided mind becomes one with itself and all else? It is the sensing of Entirety, with all that is. The state of sublime Being. So, to my question, Where Do We Go From Here… We sail on the current of unbridled mystery, with no expectation and no destination. 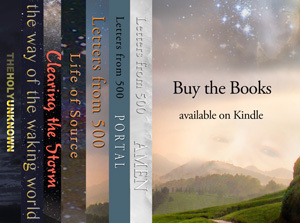 Our journey is open-ended, filled with wonders of the unknown and awe inspired revelations. Our companions along the way are benevolence and authenticity. And, How Do We Do It…Through determination and willingness for change. We are starting to take baby steps in this new world we dream of. Let us sit and meditate for a while before we try to stand and walk. Our inner guidance is most assuredly the way to make this journey the most successful we can. I hope you will join us along The Way. Next Post: What Just Happened—1/13/13? Thank you for your insightful words and feelings. It was a profound joy to share the event with you and Judy and all the thirteen souls who joined together in that adventure. Now that your comments remind me, the convergence of “two circles”—from 2013 and from 500—was critical in creating the vesica portal. I feel the ripples moving out from our event are still strong, ringing in the new Great Year.